‘Alien Isolation’ is not only a magnificent game that you should have already tried, the return of the bugs of Giger (or rather, the bug) has little to do with the ravings of Prometheus and is a masterpiece that manages the tension and the fear of death in such a beastly way that it will make you go through all the night. There is something more frightening than encountering a danger head on, and it is knowing that it is constantly stalking you and never appears before your eyes. If there is something that dominates the saga ‘Amnesia’ is that sense of terror orchestrated by changes of music, doors that close alone and uncomfortable silences. The downside of facing games in which terror is supported by a script and an AI is that sooner or later you’ll end up taking the trick of their turns of fear, but if you take all that idea to a multiplayer the thing changes completely. Here the scare will come from the hand of a murderer controlled by you or another player, so watching them come will never be an option. It may be that the exploitation of the goose that lays the golden eggs in which the franchise has become has detracted some strength from the idea, but let’s not forget that if it is still there, reaping good reviews and sales figures, it is because it continues to scare us. of good. With this, the saga tries to reinvent itself including new mechanics and emerges victorious in that of putting our hair on edge. 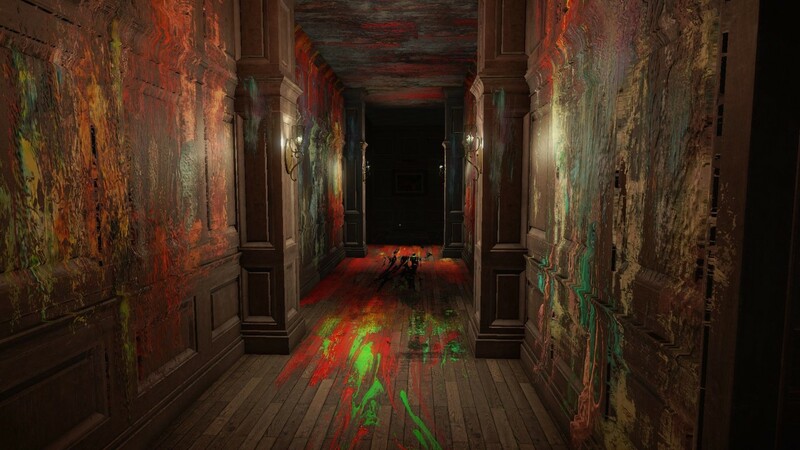 Psychological terror, a great way to take advantage of the soundtrack and many scares that take away the hiccups, make us forget that ‘Layers of Fear’ is one of those games in which one walks more than plays and its duration is quite limited. That does not mean that you are going to overcome it as if by magic, the puzzles and changes that will take place on stage will have you glued to the screen wanting the sound card to go to hell. Surely more than once you got pissed off when you saw a movie because the protagonist went down to the basement or came out of a hiding place where he should have stayed until the credit letters came out. Well, here the protagonist will be you, and I assure you that more than once you’ll want to do that to try to prevent another scare more forces you to get to see cartoons before going to sleep. If you were lucky enough to download the demo in your day, you should still be hanging around your library waiting for you to enjoy it once more. If not, what could have been the ‘Silent Hill’ of Kojima is the perfect excuse for you to meet a few friends (that you have the demo in your account) and spend a night of total distress. I had zero hope of seeing the saga recover, but I must admit that what has been achieved by ‘Resident Evil 7’ invites optimism. Neither is a return to the origins, nor a rehash, nor the pot going that was going to be the future of the franchise, only a game that dominates the atmosphere and terror in a masterly way that finds another way for the zombies become desirable again. This is cheating, I know, but since Capcom gives us the opportunity to put a jewel of this caliber as if it were a new game, we will not miss it. Even less knowing that the changes included give for a second round more than recommended and that the scares of the original game are still equal or more tremendous than before in this ‘Resident Evil HD Remaster’. Imagine for a moment that the creators of ‘Amnesia’ are given to forget about the classic setting of the medieval castles and the Industrial Revolution and jump directly into the science fiction of a submarine station in the purest ‘Bioshock’ style, because that is precisely ‘SOMA’, one of the most lauded and applauded horror games of recent years. In the absence of a ‘Resident Evil’ from the old school, the option ‘The Evil Within 2’ is the best branch to grab. Survival horror of those who no longer do, a game that mixes exploration and tension in a masterly way and that, if you are a fan of the genre, yes or yes you must try. Although the idea of ​​crafting probably will pull back more than one and the fact that it is a game in Early Access will end up throwing the rest overboard, the truth is that we are facing one of those small independent jewels with enormous potential ahead. Surviving in a forest plagued with cannibals and underworld beasts while you explore to recover a loved one will leave you more annoyed than the mucus girl in Blair’s The Witch Project. If the zombies are no longer scary because it is one of the typical resources that have been used until now, do not worry, here the terror comes from another very different side, from the idea of ​​the permanent death of your characters and the possibility of losing everything you have achieved to date because you do not pay enough attention to what is happening on the screen. If ‘PT’ is not a valid option, ‘Visage’ is the game that comes closest to what the duo of Kojima and Guillermo del Toro planned to deliver. A labyrinthine house in which a family has died in strange situations and, because they are so nice, they will appear in the rooms while we investigate what happened. That the appearances are random makes the idea of ​​a second game more interesting, but unfortunately we will still have to wait a little longer to taste it. Yes, winnings, what are wins, we have a few.